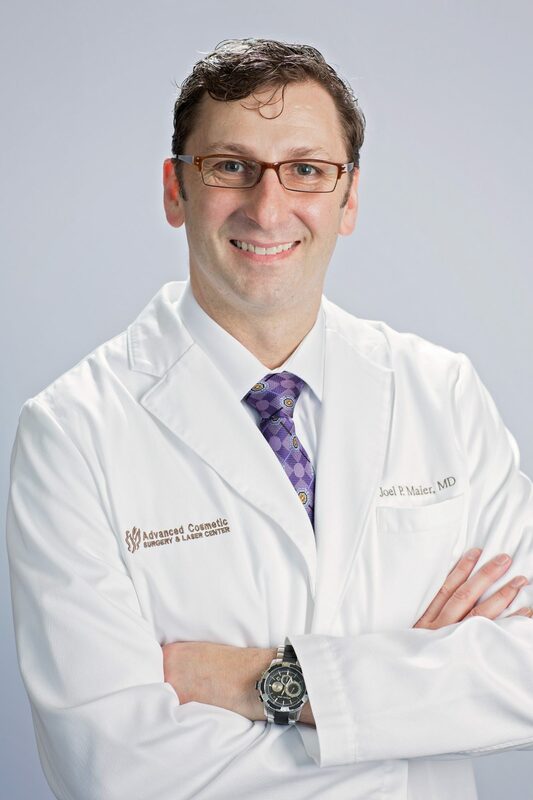 Advanced Cosmetic Surgery & Laser Center is proud to announce the addition of Dr. Joel Maier to their practice. Dr. Maier is a board certified plastic surgeon licensed to practice the full spectrum of cosmetic surgery, with an expertise in body sculpting – including breast augmentation, breast lift surgery, tummy tuck surgery, and liposuction. Dr. Joel P. Maier practices plastic surgery, including cosmetic & reconstructive surgery. He is certified by the American Board of Surgery, the American Board of Plastic Surgery, and is Fellowship trained in body and breast contouring. He is licensed in both Ohio and Kentucky. He has been selected as a fellow of the American College of Surgeons and is a member of the American Society of Plastic Surgeons. His office is located in Advanced Cosmetic Surgery & Laser Center’s new, state-of-the-art facilities located in the Rookwood Tower in Hyde Park. For more information, call 513-351-FACE, or visit www.351face.com.